Considering Motorized Blinds in Your Home? In the digital age, more homeowners are embracing the idea of incorporating tech into their home. While you might not be so eager to install major smart home features and appliances, there are some simple additions you can make to add both luxury and convenience. Motorized window blinds are actually the perfect example. If you’ve been thinking about adding some motorization to your window treatments, read on to learn more about the benefits that motorized blinds can provide. First and foremost, the convenience of motorized window blinds can’t be beat. 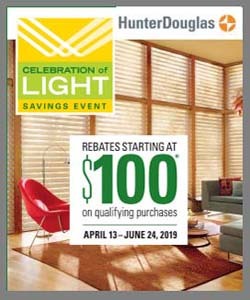 In fact, Angie’s List ranks convenience as the number one reason homeowners make the switch to motorized blinds. All it takes is the click of a button to control all of the shades in one room in an instant. You can even schedule adjustments to your blinds automatically to ensure your home stays comfortable without any effort. You don’t even have to get off the couch to do it. It’s an impressive and smart way to maintain the look and feel of any room. 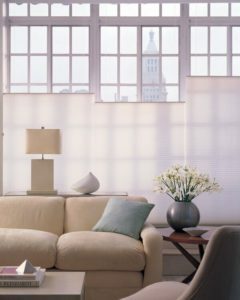 For homeowners who are looking to reduce their environmental impact and save a bit more each month, motorized window treatments can help. Unnecessary sun exposure can warm rooms up in the summer and send your air conditioning bill soaring. And in the winter, window treatments can help insulate a space and ensure the money you spend on heating is worth it. In reducing your bills, you’ll also reduce unneeded energy consumption and help you maintain a greener lifestyle. Plus, energy efficient and eco-friendly features are always a good way to add value to a property. Gorgeous, tall windows are a real asset to any home. But if you have high windows, you’ll know that keeping the sun out can sometimes be a problem. When you have to struggle to reach the curtains or blinds, you’ll probably be less likely to adjust them at all. But with motorized window blinds, you’ll have complete control over the light and won’t have to stand on your tip-toes or a ladder to reach. In addition, the look of these blinds can make these windows even more aesthetically pleasing. Conventional blinds come with cords, and those cords can present a safety hazards for children or pets. Motorized blinds, on the other hand, are cordless and can help keep your loved ones safe. In addition, motorized treatments can help you protect your family from unwanted sun damage because it’s so easy to close them during the sunniest parts of the day. Therefore, you’ll have peace of mind that your blinds can safeguard your family from harm. Let’s face it: everyone wants more space in their home. Even if you have an expansive living room, bedroom, or bathroom, it doesn’t make sense to clutter the room or obstruct the view with dangling cords and cumbersome shades. Motorized blinds may not actually make the room any bigger, but you can easily make a room into a multipurpose space (like a home theater!) by installing them. The more you can get out of your home, the happier you’ll be. Ready to find out what custom motorized blinds can do for your home? Window Treats is here to help you through every step of the process. To find out more, contact us today.